There are perhaps, a handful of films that form one's cinematic soul. Usually viewed during our formative years, under the cover of Friday night darkness, pizza boxes, and the unbreakable bonds of the sleepover, these films pool within the subconscious, forging our visual and auditory preferences, becoming surreal specters that haunt the mind's eye. Renowned auteur Luca Guadagnino's latest offering is a psychological re-imagining of Dario Argento's masterwork Suspiria. Eschewing any sense of imitation, Guadagnino plumbs the depths of his own youthful experience to deliver one of the most remarkable cinematic experiences of 2018. A student leaves her quaint religious community in America and travels to a prestigious dance academy in Berlin, where she immediately becomes one of the company's star performers. Shrouded in mystery, the academy is home to a coven of witches, whose goals, intrigues, and desires coalesce into a provocative declaration of corporeal freedom and spiritual mastery. There are three major concepts within Guadagnino's framework. The surface level story about the coven delves into the heart of female empowerment, specifically as it transposes the matriarchal coven against a war torn, male dominated world. The women within Suspiria compete, betray, and even kill in the name of freedom, both from patriarchal oppression and the confines of scientific reality. The witches exist within a nightmare outside of their own design, their malignant powers born from circumstances they did not create. The result is a duplicitous sisterhood with conflicting ideas on how best to exist in the modern era. The second layer involves the power of rituals. Rituals are at play in every aspect of Guadagnino's organic nightmare. The most memorable involves the application of magic through dance itself, with various performers’ twists and turns replicating foul incantations to obscene gods. The result is one of the most imaginative kill sequences of the century, but even more is the understanding of how rituals and repetition are an inherent part of humanity. All three of the film's main characters are defined by their rituals, be it rigorous rehearsals, meticulous self-loathing, or incomprehensible chicanery. Their mutual presence is perhaps a reflection of Guadagnino's teen years, growing up in a world almost undone by one great war, only to find its entire existence caught between yet another conflict of titans. Dwelling below the dingy exteriors and disquieting corridors is a fascinating examination of guilt. Guilt is yet another essential piece of humanity, and within the confines of Suspiria, Guadagnino builds upon David Gajganich's script, creating a self-constructed prison. Split in 5 distinct acts, it is Dr. Klemperer's decades long search for his wife that is the connective tissue, and perhaps the film's most potent statement. The amount of pain and grief the human mind endures as a result of regret are almost supernatural entities unto themselves. It is not until the finale that the power of forgiveness and acceptance are fully revealed. This is made possible with an unforgettable performance by Tilda Swinton. Not only does she balance three distinct personas in three very different roles, she manages to evoke a living sense of pathos in every one of her scenes. One of the strongest advantages the horror genre has over its celluloid brethren is that it is extremely malleable. Swinton embraces this idea by delivering a bravura performance that transcends the genre, simultaneously repulsing the audience with unknowable evil and embracing the viewer with an uncharacteristic amount of understanding and reflection. Sayombhu Mukdeeprom's phantasmagoric cinematography is the year's best thus far. What Suspiria lacks in Malick-esque tableaux it more than compensates for with claustrophobic close ups, sinister interior wide shots, and borderline sadistic camera angles, invoking spirits of German expressionism from the first frame on. Much of the terror is made possible by quick fire editing and Dakota Johnson's absolutely ethereal dance choreography. At its core, Suspiria is a celebration, paying homage to the nightmares of our youth, the beauty of art in all its forms, and above all, the flawed, but sometimes noble journey of life. 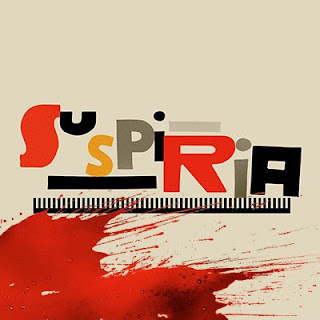 Coming soon to digital on demand, Suspiria is a truly special cinematic gift. Most certainly not for everyone, this is a brooding, slow paced descent into the bowels of a personal hell unlike anything ever committed to the screen. Beyond this crucible is an angelic ascent, an embrace of the light that exists within each of us. It is here, amidst the ruins of the flesh, that Luca Guadagnino once again reminds us that he is one of the most talented artists working today.